The game has evolved over the years. Shouldn't your training gear evolve too? 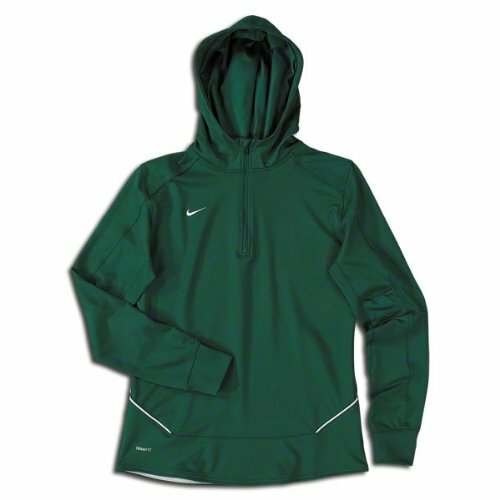 This lightweight pullover from Nike that offers an added layer of warmth without adding weight. Nike's Women's Long Sleeve Training Top also has four-way stretch to ensure it can keep up with intense training sessions. Half-zip hooded training top with Nike DriFIT moisture control and Therma-Fit insulation for ultimate training comfort. Vented back panels create air flow. Embroidered Swoosh beside the partial zipper. 92/8 polyester/spandex..